As well as saying yes to clients, customers and contractors we also sometimes have to say no. However working out exactly how to do this tactfully can sometimes be tricky. In this episode, Lorrie and I talk about several situations where you might need to say no, and how to go about it. LH: Hello and welcome to episode 26 of A Little Bird Told Me: the freelance writing podcast about the highs, the lows, and the no-nos of successful self-employment. You can find us on the web at alittlebirdtoldme.podomatic.com, and from there you can subscribe to the podcast in any number of ways, and you can also find the link to our Facebook page, which is full of information about past episodes and topics of interest to freelance writers, editors and whatever, really! PW: Now, the first thing we want to do is apologise for not getting an episode out last week. We really try hard and normally get one out every week but, occasionally, we can’t both find a time where we’re both free to record. Our windows didn’t match up, we were really busy, so we’re very sorry about that. We’re back now! Today we are talking about something that might initially sound counter-intuitive to a freelancer, and that is how to say no to a client, how to turn down work, and how to disconnect from someone who either wants you to work for them, or who you have worked for before. However, learning how to say no and respect your own boundaries, both professional and personal, is really important. Other times we might need to say no to other types of people, like suppliers or other freelancers – I even spent some time having to say no quite persistently to a local freelancer I’d connected with on LinkedIn who practically spammed me about joining a local networking group. So it comes up a lot, but mainly we will be talking about dealing with clients, because this is what comes up most for the average freelancer (and the above average one). LH: …and I’m Lorrie Hartshorn. And the first thing we’re going to talk about is how to turn down an invitation to a meeting. LH: Poor Pip! The “mmm” says she’s speaking from experience! Now, when it comes to turning down meetings with people, lots of us struggle. We Brits in particular – and we women in particular – are socialised to be nice and polite, but when you end up accepting an invite to a meeting you don’t think will be useful, and you’re too polite to cut the meeting short once you’re there, you can end up wasting an awful lot of otherwise chargeable time. One meeting can eat up half a day, and if you’re lucky, you just get your time-wasted; if you’re unlucky, you can end up being mined for information you don’t want to give out, including details about your business, contacts and clients, in a bid to keep the conversation flowing. PW: Yes, sometimes we might have been slightly misled about the purpose of the meeting, and other times it just becomes quickly clear that we, and the person we are meeting with, are not going to be able to work together, for any number of reasons. We might just have had different expectations, we might work differently, or we even could just find that we dislike the other person. Not that anyone could dislike myself or Lorrie, though. LH: Of course not, we’re completely lovely! Going back to what you said, I’ve actually been actively misled in the past, by someone who was keen to get a meeting with me, and to whom I’d already given the brush-off via email and phone. When I realised that the apparent reason for the meeting was actually fake, to all intents and purposes, it really annoyed me. Needless to say, I cut that one short! PW: Yes, much as we can try to judge someone’s character or motives, it doesn’t always work out the way we’d want it to. Also, other reasons could just be that it would involve a lot of travelling and the discussion could easily take place by phone, for instance. LH: I spotted a really helpful article by a woman called Liz Sumner, who describes herself as a coach, planner and facilitator. On her website, Liz outlines how to determine whether a meeting is worth having. Entitled No More Useless Meetings, the article (which is quite old but still useful!) actually discusses how to have productive meetings. But, the same rules can be applied, I think, when you’re deciding whether you want to have a meeting at all. LH: Firstly, she says you should ascertain the purpose of the meeting. Then decide whether a meeting is the best way to achieve that aim. Secondly, identify the desired outcome – imagine the best possible result of the meeting, and the changes you’d like to see follow it. Thirdly and finally, in this case, if you decide to meet with someone, actually design the meeting. Outline exactly what you want to talk about, and in which order. And I would add, identify what you don’t want to talk about as well to make sure the meeting doesn’t get steered in that direction. PW: The idea of designing the meeting is a good one. It makes sure that neither you nor the other person is going to turn up expecting something unrealistic. By doing this, you are both agreeing, in advance, the purpose of the whole thing. PW: Are you suggesting that when you’re at home, you’re not wearing a smart suit and heels?! LH: Do you know, I read an article about this the other day. I hate to say it, it was one of those “mompreneur” articles – I hate that word! LH: Haha, I know Pip’s making that noise because, like me, she hates the word ‘mompreneur’. If you’d like to know more about why we do, come and chat to us on Facebook – this probably isn’t the platform for it! But yes, this article was pretty patronising – something like, “top 10 rules for mompreneurs working from home”, and it was saying that you should never work in your pyjamas and that you should always be suited and booted. It’s ridiculous – I’m not going to sit there in a trouser suit at my kitchen table, with my stiletttos digging into the lino. PW: Get spaghetti on it at lunch-time! PW: I mean, if that’s what you want to do, then do it – but there’s certainly no obligation. For me, at least, one of the joys of freelancing is that it doesn’t matter what I’m wearing. LH: As I mentioned in one of the early episodes, I can’t work in my PJs – I have to get up and sorted – but that doesn’t involve wearing a suit! So, to go back to the original point, what you can do is explain that your time is limited but that you’d be happy to have a brief phone or Skype meeting. Because phone contact cuts out a lot of the small talk, I find it’s also a good way to force – in the nicest sense! – people into letting you know what they’re really after. There’s only so long you can string out a phone conversation. However, there are going to be some meetings you just don’t want to attend – on the phone, in person, via Skype, via email. I’ve had invites from fellow self-employed people that I’ve got to know on social media, for example. Some of the connections have been really useful but, in other cases – and I’m being brutally honest, here – there’s been no discernible gain for me in the situation – for a variety of reasons. And while I’m happy to help and advise fellow freelancers online, I’m not one for arranging lunch-dates that have no mutual benefit. I’ve done it in the past and I’ve been left feeling cheated and exploited. PW: That’s it. Plus that will change from occasion to occasion. While it might be a lovely thing to do when you have some down time, but equally if you are having a mega-busy week and you spend three hours doing something that feels pointless or exploitative, you are bound to be resentful about that! LH: A lot of the advice you see out there, for declining meetings, is usually – I think – a bit too soft. It’s often that you should let the other party know that you’re busy at the moment. However, there seems to be little advice out there for if you just don’t want to meet the person at all. PW: Yes. And back to the whole British thing, I think a lot of us (myself included), would be tempted to go with, “Oh, I’m really sorry, I’m busy on Friday!” rather than try to tackle it in a way that might look bolshy or unreasonable, by insisting that actually, we just don’t want the meeting to happen. LH: Yeah, it’s really easy to lose your nerve at the last minute, particularly if the other person is quite authoritative or a really good speaker. PW: Or, indeed, just really keen! That always makes me feel guilty! LH: Yeah, I reckon you’ve got it about right. Then again, I’ve seen you in fierce mode! PW: This is true, you have. So trust us, I can have my moments if I feel I’m being badly treated, or indeed if somebody else is! LH: Yes – she’s very fair and very lovely. And as well you should be fierce when you need to be! Being polite is one thing; being taken advantage of is quite another, and woe betide anyone who trifles with Philippa! LH: My take on saying no to meetings, to go back to the point, is that it’s no good making vague, “Oh dear, busy at the mo but we really must do this…um…some time…” kind of noises, because if the person really wants something from you, they’ll make sure to rearrange, which takes you back to square one. So, iff you’re not interested in working with that person in future, there’s nothing to stop you saying, “Thanks for the invite – however, that’s not really a direction I’m looking at taking my business in at the moment. I’ll let you know if there are any changes of plan.” So the ball’s in your court. Or, “Thank you, but that’s not something I’m going to be interested in.” You can obviously pad it out with comments about being busy to soften the blow a bit, if you think it’s necessary, but I do think a core of honesty is the best way to empower yourself and get the message across that you just don’t want a meeting with that person. PW: Yes, a phrase I’ve used a few times is, “I just don’t have the space for that at the moment”, or similar, just making clear that I am not only busy, but that I’m prioritising other things – it’s not something I am willing to squeeze in. How you say it is also important. There are people who will refuse to take no for an answer, such as sales people. If you get the impression that the other person might choose to not “hear” your refusal, you have to make sure you sound firm and uncompromising. You have more important things to do than to send several, “no, really!” emails to them! So say it in a way that makes it very clear. PW: This will happen, from time to time, though most often it will be them that says no to you when they hear your prices. They’ll ask you for a quote and they’ll tell you you’re too expensive. LH: It can actually sting the first time someone tells you you’re too expensive – it can really knock your confidence. In my episode about raising fees, I did mention that raising fees can help you attract higher-paying clients and ‘turning off’ lower paying clients. But the first time someone says, “Ooh, no…” they’re not always very delicate about it! LH: “Oh my God, that’s extortionate!” Haha! But yes, it can be a knock to your confidence. PW: Definitely, so yes, most times it’ll be them who turn you down. But sometimes, instead of you telling them your price, you might ask what their budget it. And sometimes, it’s nowhere near the price you expect, so you’ll be in a position where you need to turn them down. In theory, they could up their budget, but if it’s so far below what you’d expect that you’d just say no, it’s not usually realistic to come to a mutually beneficial agreement. I did read a brilliant response that someone suggested for this situation – if someone is hoping you will write for pennies. I think it was Carol Tice from Tice Writes, suggested saying to them, “Feel free to come back to me when you are in a position to pay professional prices”. I love it! LH: Ouch! Very much ouch! Like anything, there are different levels of pay in copywriting – some people can’t afford as much as others, and that’s absolutely fine. But, as you say, some people are asking for the moon on a stick and offering a couple of quid in return. At which point, a pithy remark like that would be quite tempting! PW: Isn’t it?! So yes, as we have discussed on this podcast numerous times, you have to work hard in this job, and undervaluing your skills and capabilities is an absolute no-no. Don’t even consider work that pays a pittance, and be sure to be clear with people who expect you to work for nothing, or virtually nothing, about how unwilling you are to do that, so that you don’t have to waste any more time on them, frankly, by not being absolutely clear during the first contact. 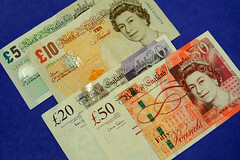 Just because someone’s a friend of a friend of a friend, they’re not entitled to ask for a ridiculously low rate. PW: Yup. Another situation where you might find yourself syaig no to work is if work comes your way that you really don’t want to do for ethical reasons. Sometimes some work might come our way that we really don’t want to do, and sometimes this due to an ethical dilemma. We’ve each got our own ethical standards, and they will differ from person to person, but a situation can occur when someone asks you to do some work that clashes with something you believe strongly in. It might be that it’s for a company you hate, or on a topic that you are really opposed to. What each person does in this situation will vary, but it is a really valid reason to say no, if doing the work would make you feel uncomfortable or ashamed. LH: Yeah, there’s definitely no point taking on work you really object to ethically. It’s not fair on you or the client, because there’s no way you’ll be able to submit your best work for, say, a gambling firm if you’re a strict Muslim, or a meat-packing plant if you’re a committed vegan. PW: Exactly. However this situation can be especially difficult to deal with, because if you are open about your reasons for turning the work down, the client could reasonably understand you to mean that you think they are being unethical or unreasonable. So it has to be done carefully, especially if it is with somebody who has given you a lot of other work – stuff that doesn’t raise your ethical hackles! – and who you hope to work with again. PW: When I’ve turned down work for moral reasons, while it might be tempting to say, “OMG I can’t believe you expect me to write about THAT!”, it’s not the way to do it. Instead, saying something like, “I’m going to say no to this piece of work because it is a really uncomfortable subject to me”, or “The subject of this particular piece of work is something I am opposed to, so I won’t be able to write it”. If they are a client you otherwise work well with, this should normally be received well. And if they’re not, then it doesn’t matter! PW: Quite often, a good client will know if they are suggesting something controversial, and will check with you anyway whether you are happy to write it. This makes it a very easy discussion. LH: I think one important point to make here harks back to something you and I have discussed in the past, Pip, and that’s writers refusing to write about anything other than their absolute favourite subjects – usually something really niche. We’re not suggesting you reject 99% of your incoming work because it’s not part of your artistic vision – we all have to write about things that aren’t the most interesting, it’s just part of the job and it pays the bills. PW: Yes, that’s true. What we are talking about here is somebody asking, like with Lorrie’s example, a vegan to promote a meat packing factory. Something that would actually cause them to lose sleep and question their morals. We are not talking about someone who would really prefer to only ever write about travel refusing work just because it’s not about travel. LH: The next area of saying no we wanted to talk about is saying no to suppliers who are too expensive. Now, it’s worth noting before we go any further with this segment, that “too expensive” is usually a subjective thing. One person’s too expensive is another person’s perfectly reasonable. PW: Absolutely. We see this all the time as freelancers – those who enquire about your prices tend to have wildly different expectations and can be equally horrified or amazed by the very same figure! LH: If you’ve done your research, though, you should know which sector of the market you’re targeting, and know in yourself – when you’re having a nice confident day at least – what a reasonable fee would be in that context. LH: When I made the transition from single copywriter to my now mini-agency set-up, I had to advertise for copywriters to join my roster. I got a lot of responses, many of which were from people asking for far more per hour than I was able and/or willing to pay. So, it was up to me to tell them that I wasn’t going to hire them. I didn’t want to give lip service to people who’d spent time applying to me, sent me their CV and information, etc., so I was honest. I thanked them for their interest and explained that their requested salary was too high for most of my clients (I have a lot of SMEs on my books). And as I mentioned in my last episode, on how to raise your freelance fees, the one thing you shouldn’t do is apologise. No matter what service you’re declining, you can be perfectly polite and say something like, “Thanks for getting in touch” or “Thank you for the quote” and then add, “I’m afraid the price you’ve given me is more than I was hoping to spend, so I’ve decided to go with someone else.” If they’re significantly out of your price range, you can also say that to prevent them coming back with a marginally lower quote. Make sure you leave no room for wiggling in the way you close your email (I’m assuming you’re communicating by email, but the same goes for phone or face-to-face chat), but be friendly, polite and thankful that they’ve taken the time with you. PW: Yes. You might be hiring a web designer, or other copywriters, or even buying equipment. You are as entitled to say no to them, as they are to you. When I had to buy a big chunk of equipment to make my office more accessible, I had dealings with several different suppliers, and the quotes I got varied massively. When you’re faced with a difference of several hundreds of pounds for – in that case – exactly the same equipment, it’s very easy to say no to people. It’s the same thing if someone is providing a service, or equipment where the price difference is less obvious – we’re still allowed to choose who we like to hire, just like people choose us. PW: Worth noting that that person had literally no copywriting experience, and yet the amount she wanted per hour, was way more than most other copywriters would actually charge. LH: That’s actually not the person I was thinking about, but now you come to mention it, that’s the most belligerent person I encountered. It was very much, “Oh. Right. 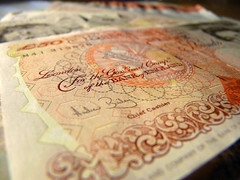 Oh, well if you’re not going to pay me that, then I suppose I could accept less, but I’m not happy about it.” And this is a person with no experience, no specialist area, no knowledge of SEO or B2B copywriting – they just wanted to make the transition and seemed to think I should do them a favour. No, no, no. LH: What a chancer! While the more professional ones had confidence in their fees, others had just been trying to get as much as possible. If that sounds like you, please go and listen to Pip’s episode on setting your fees. PW: And I think what you said about the more professional ones saying, “OK, thanks, never mind” – you do get used to doing that when you give someone a quote; some will say you’re out of their budget. And you learn quite early on that that’s how it is, and to those people you send a polite reply saying, thanks and good luck with the project. Can you imagine if you responded with a snarky remark or, “Ignore my quote and I’ll charge you 10% of my original fee.” It doesn’t work. LH: It’s now a luxury to get a response to a pitch email sometimes! I got in touch with someone recently – through a pitch email – and suggested they take me on for a trial. They got back in touch, said, “Like your style – let me think about it.” I left it for a month and checked back in, in a friendly confident way, but still giving them a get-out clause if they needed it – nothing apologetic or hesitant, but something like, “How are you feeling about going ahead with this? Is it something you’d like to move forward with or not something you’re looking at for now.” And they got back in touch to say they weren’t looking at working with me for now, but thanks very much. No one felt bad, we all know where we stand and it’s all good. PW: That does relate well to a point I want to make, which is that I always endeavour to treat anybody I deal with in my working life with respect. LH: God, yes, absolutely 100% vital. And I don’t understand why people sometimes don’t! PW: Absolutely – even on a purely mercenary level, even if they can’t afford me this week, they might have found a massive investor by next week and hire me. If, instead, you’d gone, “Ha! You think I’ll write for THAT? !”, then they’ll find someone else. Or the person whose company doesn’t want to hire you based on what they perceive to be high fees might, next week, move to a different company with a more flexible budget. You don’t want to have been rude to them. I got a new client last week because, 5 months ago, I’d done him a favour. I hadn’t had anything to gain from it at the time, but I did it and it took quite a lot of time. Now, 5 months later, he needs a writer and he came straight to me. LH: That’s brilliant, and it really does prove that a professional working manner pays dividends. PW: Definitely. It makes good business sense, and also it means I don’t feel bad about myself by the end of the day. I’d hate to get to 5pm and think, “I was rude to four people today!” It’s a win all round. LH: So the final thing we want to discuss is saying no to, and moving on from, long-term clients or customers. 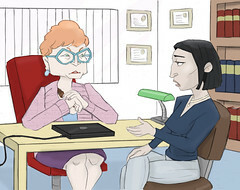 PW: One of the hardest ‘disconnect’ situations you might find yourself in is having to say no, or say goodbye, to a long-term client. There could be any number of reasons that this could occur – you might up your prices and they can’t afford it, or they might have a change of direction you’re not happy with, or a change of staff, or any number of things really. LH: I touched on this in my solo episode about raising your fees, actually, and I read a number of articles around the topic at that time to see what other people’s takes on ‘breaking up with’ clients were. PW: Yes, you handled it well in that episode, particularly looking at the difficulty of raising prices when you know that your longest-term client is actually your least affordable one now. LH: Some people were suggesting that loyalty should always win out, and that you should never lose a long-term client because your fees have gone up. I can definitely see where they’re coming from and, as I mentioned, my longest-term clients have the lowest fees for exactly that reason: I try to limit most of my fee increases to new clients, who start out with me on a higher fee rather than experiencing an increase. But at the same time, I have raised the fees I charge to them because…inflation! PW: I remember talking about this with you at the time you were starting to increase your prices, and it is such a tough situation to deal with. LH: Definitely, and it’s something I really wanted to find a solution for that would work for both me and my clients. One way I’ve dealt with it is to shift from a copywriter to an agency set-up. I now – with the permission of my clients, of course, and with NDAs in place! 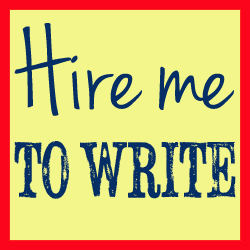 – subcontract most of the work for a few lower paying clients to copywriters who are junior to me. The work gets done to a high standard, I pay those copywriters a fair wage, and I proof-read and edit everything before it goes back to the client, and I give feedback to the copywriter who’s done it. The client gets work, the copywriter gets training and I save a huge amount of time. It just allows me to keep the client on and prevents the client from having to start all over again – after years – with someone they don’t know. PW: You’ve worked out a really good solution. However some people wouldn’t be in a position to sub-contract work, or find a way around it. So if somebody comes to the eventual conclusion that a client is unsustainable – if they are unwilling to even consider raising your fees even as your offerings have improved – they need to somehow, ideally tactfully, withdraw. LH: Going back to what you said earlier about doing your now-client a favour, it’s one of those times where I think it’s good to be helpful if possible, even if you feel you’ve been treated a bit shoddily. If I hadn’t been able to sub-contract the work out, I would have done my best to provide a hand-over service to the client by sourcing – although not taking any responsibility for (as a bit of a caveat!) – another good copywriter to do the work at the fee I was previously accepting. That way, you’re retaining goodwill with the client and winning a new friend, or strengthening a friendship, with a freelancer. PW: That’s a really good point. Make suggestions of other copywriters you would recommend. Don’t just leave the client in the lurch. Also, if you can, then give them plenty of notice. If you have written 5 blog posts a week for a client for 3 years, it’s really not on – if at all avoidable – to just say, “Oh, by the way, from next week you need to find somebody else!”. I mean, you’re not under a contract as an employee, but in terms of making it as easy as possible, it’s a good thing to do. You want to leave with goodwill between you if at all possible. LH: Definitely. The ideal situation is that your client will say bye-bye, and then three months down the line (or three days down the line! ), they get back in touch saying they miss the knowledge you had of the company, and the work you provided to them, and that they’re willing to negotiate a fee you’re happier with. LH: It’s nice to know you’re needed! PW: Very much so! This whole discussion does feed into an overall situation where it is quite tricky to be self-employed. You have to be responsive all the time, but not reactive. You have to be really, really nice to people but not walked all over. You have to say yes and no and yes and no, sometimes in the same conversation. There is a lot of nuance, and sometimes conversations with the same person need to be judged and pitched differently. Always keep in mind both how you want to be treated, and also how you would want to be treated if you were in the other person’s shoes. And for me, if I was asking someone for something unrealistic or unreasonable, I would rather someone told me, rather than fobbed me off for fear of embarrassment or awkwardness. So sticking up for yourself does not have to mean treating other people badly. And being friendly and professional does not have to mean always saying yes, even when something is not in your interests. LH: Absolutely. Sometimes you have to say no to retain your self-respect. I lost my first ever client recently – and it was, to be honest, someone I was more than happy to lose – because I objected politely to being paid significantly and consistently late. The client was offended by me suggesting pre-payment options and sent me the first snotty email I’ve ever had about my work, which was a nasty surprise. But, it just goes to show that even if you’re 100% reasonable – and I think I was! – you can’t always win. PW: It’s true. And I supported absolutely Lorrie’s challenging of them, and her horrified reaction to their response! Sometimes, no matter how well you handle something, the other people don’t play ball. LH: Yes, we were both pretty surprised, weren’t we? Here are three easy options that will allow you to pay the same, get the same work but also enable me to get paid on time – for once! Who would think it’d be so objectionable? PW: But actually, it just goes to show that we can only ever control our own responses in a situation. We can do our best, but other people’s reactions can be disappointing and surprising. So, at the end of the day, what is most important is that we are happy with our own reactions and behaviour. LH: Totally agree. No matter why you’re saying no to someone, make sure you treat them how you’d appreciate being treated and – unless you encounter a complete plonker as I did recently – you should be on the right track! PW: And that leads us to our A Little Bird Recommendations of the week! Now, my recommendation is a blog post about how to handle being heavily edited. Now this can apply to any kind of writing – if you send a manuscript off to a publisher and it comes back covered in red pen, or you send an article to a magazine but when you buy a copy it barely resembles what you wrote. With commercial work, if you send it off and they come back with loads of changes…it’s a shock and it can feel quite insulting. It can be difficult to know how to handle – some edits you might not agree with. LH: I’m interested to hear the reactions to this, because I’m an editor and I’m usually on the other end. PW: Yes, it points out that editors are just doing their job. “Ask yourself these questions,” it says. “Are opening and closing paragraphs redone but the mid-section unchanged? If so, they may be aiming for stronger reader engagement and it’ll be worth your time figuring out their tactics.” Next, “Are paragraphs reshuffled? If so, learn their preferred structure.” And that kind of thing. Those kinds of questions can really help if you’re writing again for that publication, client or project. PW: Exactly. So looking at things like…I think this is an American thing, but there’s a whole ‘readability’ thing where a lot of US websites feel they should be readable to a certain age group, and it’s usually very low, so any long words are immediately cut out. I don’t agree, but if a website cuts out any word more than six letters long, you’ll know for next time. It teaches you how to learn for the future, talks about how to take it like a professional and discusses what to do if you’re edited by someone who hasn’t edited before. So there’s also some advice for that – saying you might be able to argue your point if you want to in that situation. PW: There are also loads of good comments, so it’s well worth a read. It’s called, “That’s Not What I Wrote – what to do when you’re hit with heavy editing” and it’s on the Make A Living Writing blog – I’ll link to it in the show notes. LH: Sounds like a brilliant article, and I’ll definitely check it out. I do a lot of literary editing, and people are even more vulnerable than usual as writers. If I have to go through and “red pen” it, I feel terrible. But I do have to – that’s what they’re paying me for. But yes, anything that can make it easier for anyone to accept edits, is definitely worthwhile. That article sounds brilliant, and it’s good to know that people shouldn’t take edits personally. Unless someone’s edited it in a way that misrepresents you or is unethical, then you can just revoke permission for them to use the work. PW: Yes, if it’s not misrepresenting you, and it’s not absolutely horrible, just let your ego go. LH: My recommendation this week is a brilliant little social media search tool called Topsy. Topsy can be used for a number of things, but – as I discovered in a recent article (I think it was on Copyblogger!) – it can be a life-saver when it comes to finding guest blogging opportunities. LH: Pip chatted about guest blogging in her solo episode a while back and gave some brilliant tips on how to approach a site or publication, how to ensure your content is good enough quality, and what the benefits of guest-blogging are. But, time is limited, and what I don’t think got covered was what to do if you’re out of ideas for guest posts. PW: It can happen! It’s an episode on its own – what to do when there’s nothing left to say and you’ve written everything! LH: By searching for “guest post” in inverted commas (Pip also covered how to do these kinds of searches in another episode and adding in your subject of choice, you can use Topsy to identify guest blogging opportunities across the social media web. Using similar search parameters to Google, you can limit your search by time period, so you’re not putting yourself forward for out of date opportunities. LH: This same search technique can also help you to come up with topics for posts on your own website. While you don’t want to copy someone else’s article or blog idea – do not plagiarise someone, it’s a horrible thing! – Topsy allows you to see how often posts have been shared, so by studying the activity on there, you can learn to predict what kind of post might be a good choice to drive traffic to your site via viral marketing – basically, by getting people to share it! So yes, it’s fab, very usable, and it taps into Google+ and Twitter. PW: That’s great – I’d come across people talking about Topsy; I’ve not used it but I’ll definitely check it out now. LH: So this, listeners, has been episode 26 on how to turn down, disconnect and turn down anyone you might want to diss and dismiss, in the nicest possible sense! We really hope you’ve found the advice useful and that you’ll feel more confident in saying no to things that don’t suit you – low prices, meetings you don’t want, people you don’t want to work with or topics you don’t want to write about. PW: It’s been an interesting one for us to research, plan and record, because it’s a difficult situation. Getting all this advice in one place will hopefully help! Do check out our website at alittlebirdtoldme.podomatic.com, you’ll find the show notes and links there, plus all our websites and social media accounts. Make sure you subscribe as well, find us on Facebook. Thanks so much for listening – I’ve been Philippa Willitts..
LH: And I’ve been Lorrie Hartshorn, and we’ll catch you next time.